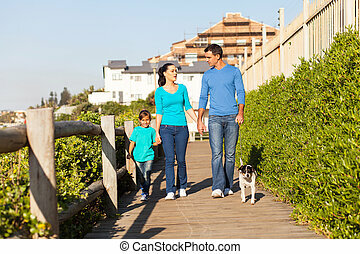 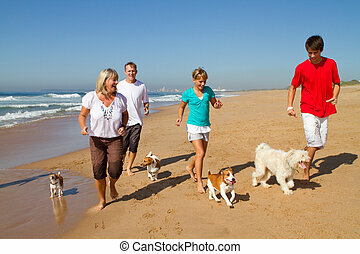 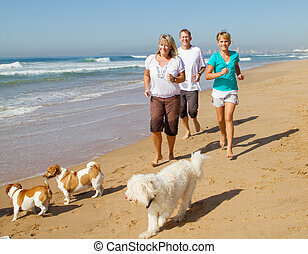 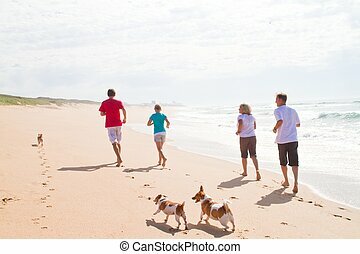 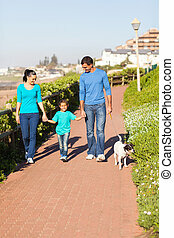 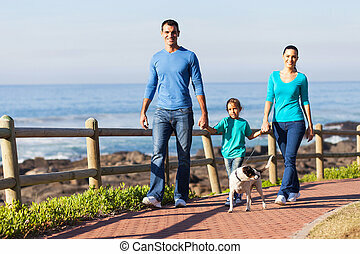 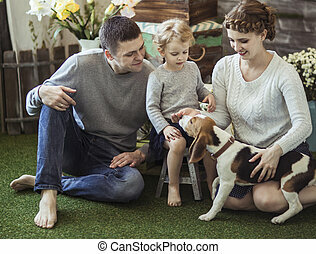 Family and pet dog. 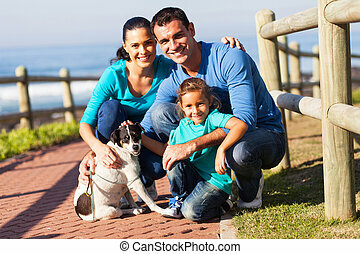 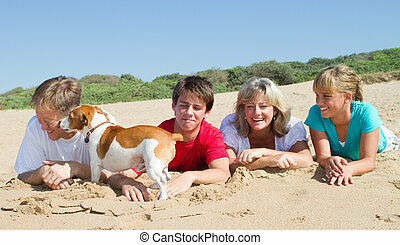 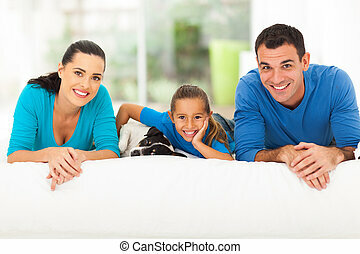 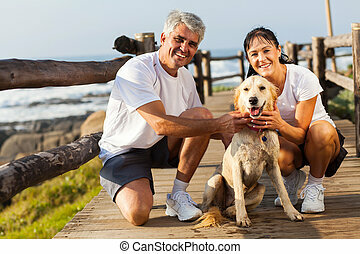 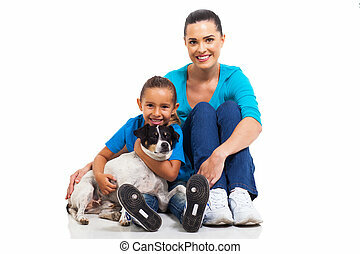 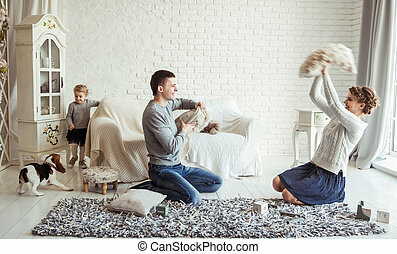 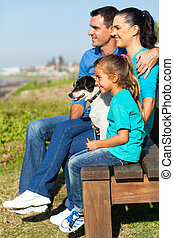 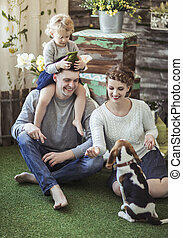 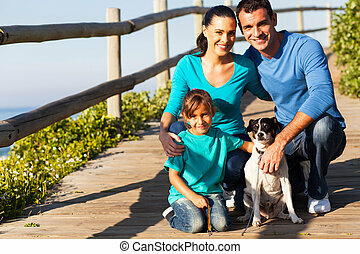 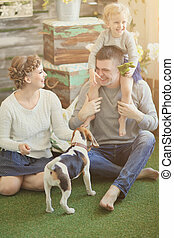 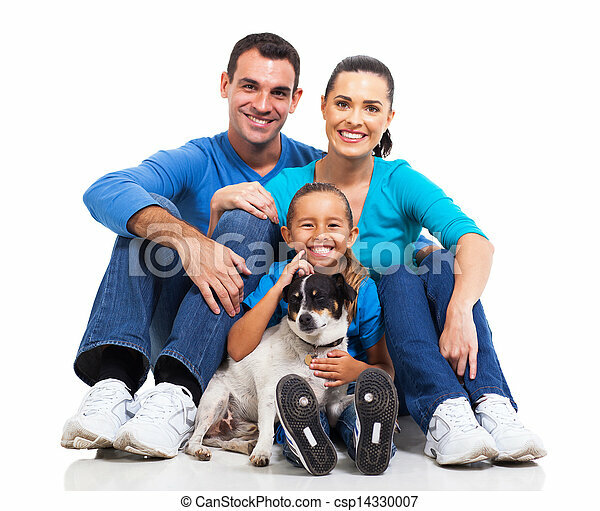 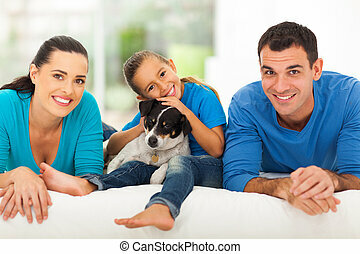 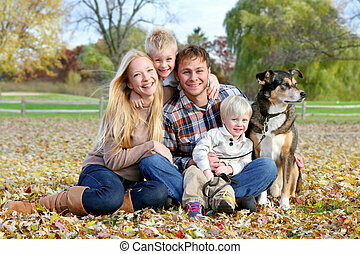 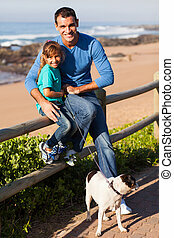 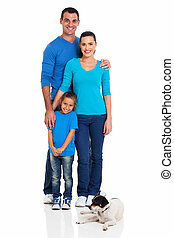 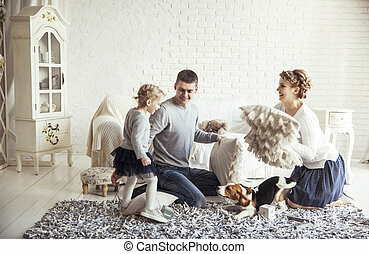 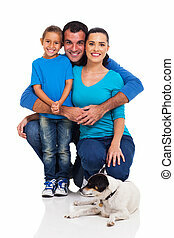 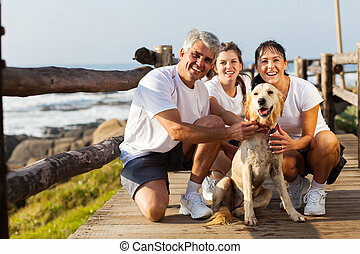 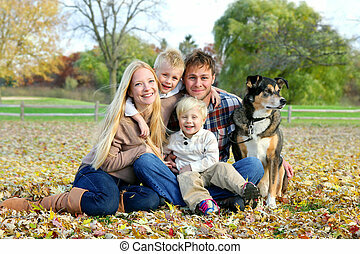 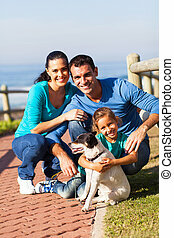 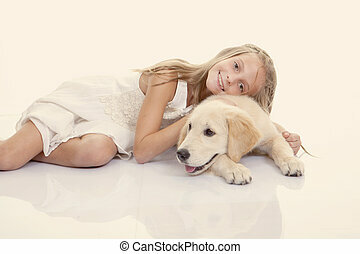 Portrait of cute family sitting on floor with their pet dog isolated on white. 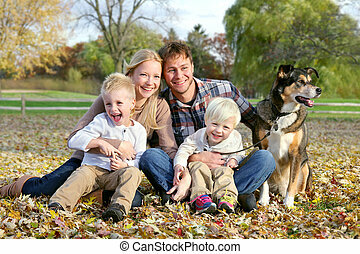 A happy family of four people, including mother, father, young child, and toddler brother are sitting outside in the fallen maple leaves with their pet German Shepherd dog on an Autumn day. 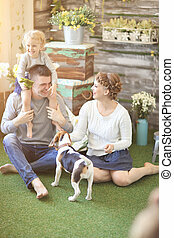 A happy family of five people including mother, father, new baby, boy and his brother are sitting outside in the sunny garden with their adopted German Shepherd dog. 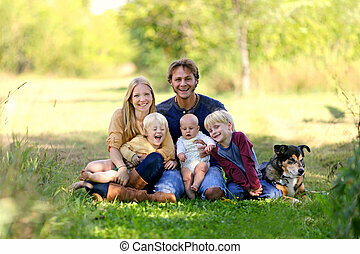 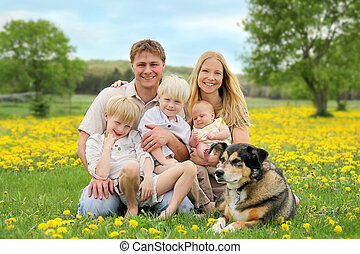 A portrait of a happy family of five caucasian people, including big brother, toddler boy, and baby sister are relaxing in a yellow Dandelion flower meadow with their pet dog. 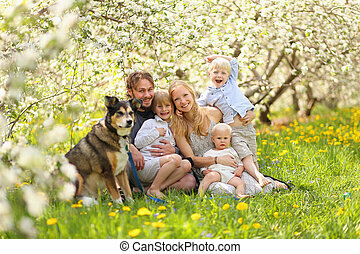 A portrait of a happy family of five people, including mother, father, 2 young boy children and baby girl and their pet dog hugging outside in a flower meadow under blossoming apple trees on a spring day.